Today I want to share a super quick and easy tutorial on how to make non-dust-collecting craspedia. I've had these pics in my computer for a LOOOONG time so I thought I'd take advantage and post them today. 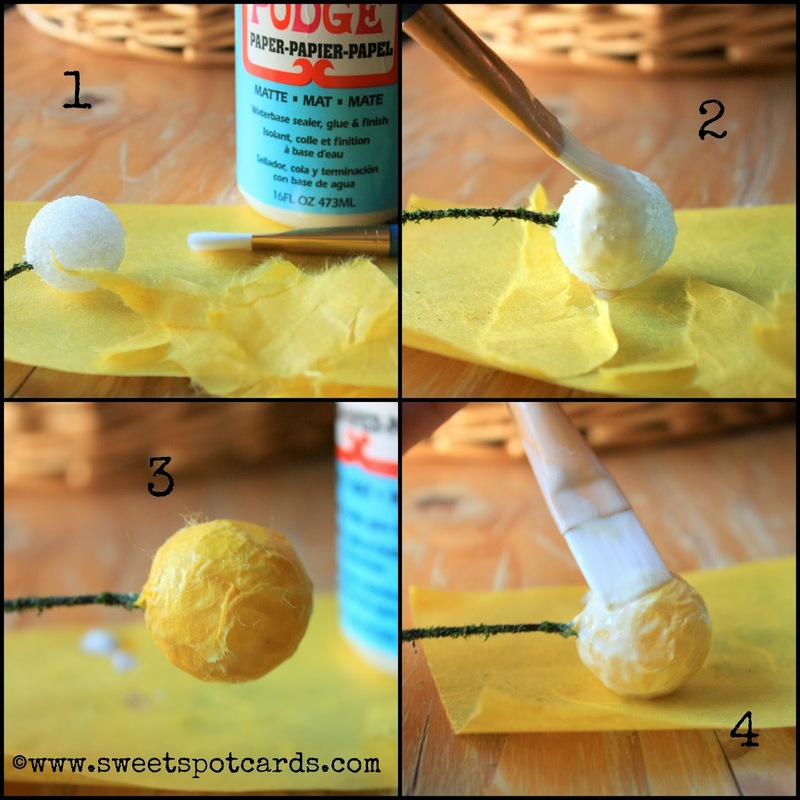 I've seen lots of tutorials for Felt Billy Balls, (a.k.a Billy Buttons) which happen to be super cute, but you know me and dust. I like to make things that are damp-wipe-friendly. That way everything is clean and dust mites have to find somewhere else to live. Flocked Stems - Okay, here's a hard one - I got these at West Elm ages ago. But you can use regular florist wire or any nice green stem-y looking thing you can find laying around - be creative! Now the fun begins! Seriously you're gonna slap yourself once you realize how easy this is! 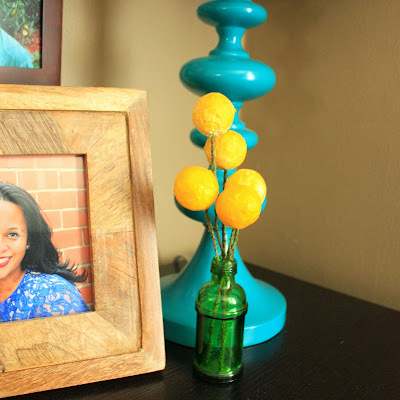 I love the little pop of color they add to a corner and, even more, I love the fact that I made them. There's nothing better than looking around your home and seeing things that mean something to you. 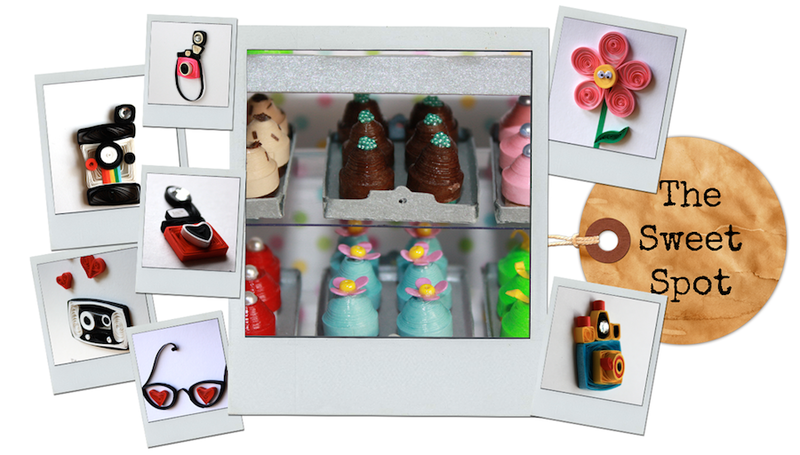 Be it pictures, artwork, handmade projects or gifts from loved ones. I remember Nate Berkus was on Oprah one time and he said that all homes should have "soul" and I think that these things definitely add just that to any space. More news soon. Perhaps some of you have inadvertently seen the news, if you subscribe to google quilling alerts. Just waiting for the right time to share. Stay tuned and have an awesome last week of September!